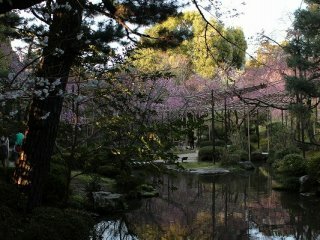 The beautiful April cherry blossoms are in full bloom in the southern part of the garden. 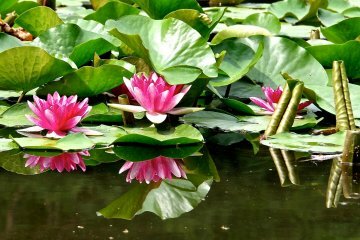 You can enjoy various flowers blooming in all seasons. 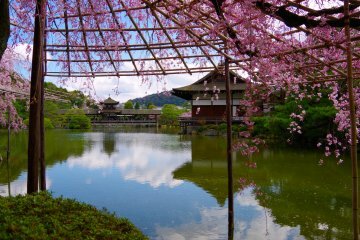 The gardens around Heian Jingu Shrine, a replica of the original Imperial Palace, were built as a way to protect the temple grounds. 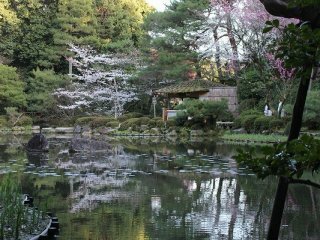 With its path leading around the pond and through the grounds, you can enjoy wandering through the gardens at your leisure. 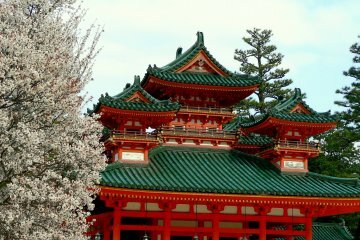 The temple itself was initially built in 794, though it was rebuilt in 1979 after a devastating fire. 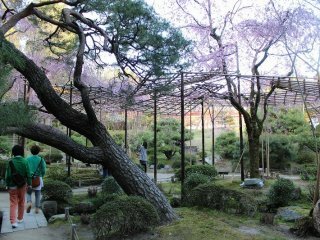 The gardens, however, were designed and built between 1894-95 by Ogawa Jihei, a famous master gardener who designed, or restored many area gardens in Kyoto including those at temples, shrines, and the old imperial palace. 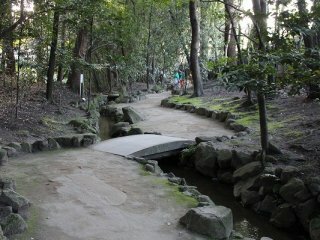 Additionally, he created many more gardens in Tokyo and Osaka, and he also created Murin-an, which has been listed as an Important Cultural Property by the Japanese government. 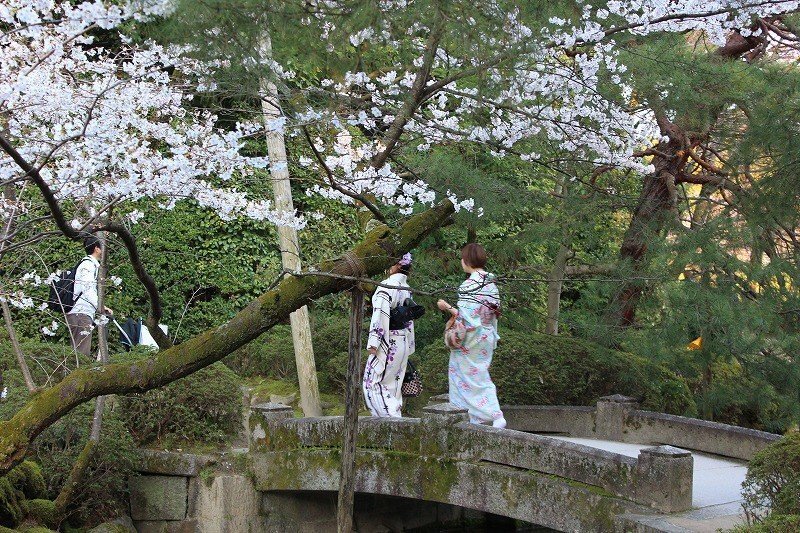 Compared to many of this city's gardens, which have long histories, Heian Jingu Shrine's gardens' history of just over a hundred years may not seem terribly impressive, but its beauty is just as much a sight to behold as at other area gardens. 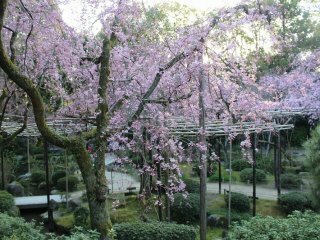 Each season brings forth its own abundance of flowers; however, it is particularly famous for the cherry blossoms in the southern part of the garden, including its well-known, beautifully colored Yae red weeping cherry trees, which were donated by Sendai City's mayor. 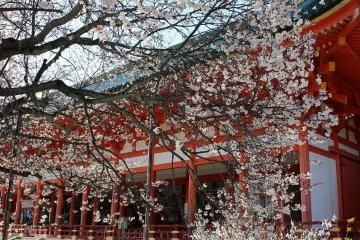 Heian Jingu Shrine can be reached by taking Kyoto City bus number 5 or 100 from Kyoto Station. It takes approximately half an hour and the bus fare is 230 yen. 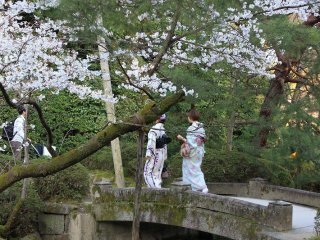 Additionally, visitors can choose to take the subway to Higashiyama Station, from which the shrine is a ten-minute walk. 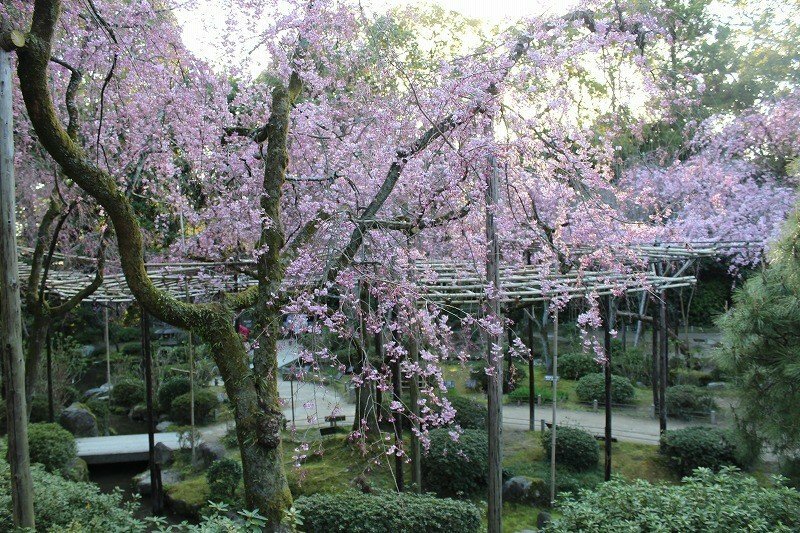 Beautiful place and sakura, of course! 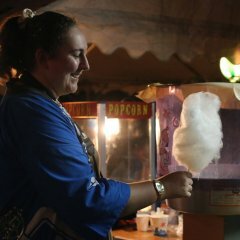 My favorite time of a year. The reflections on the water are beautiful!